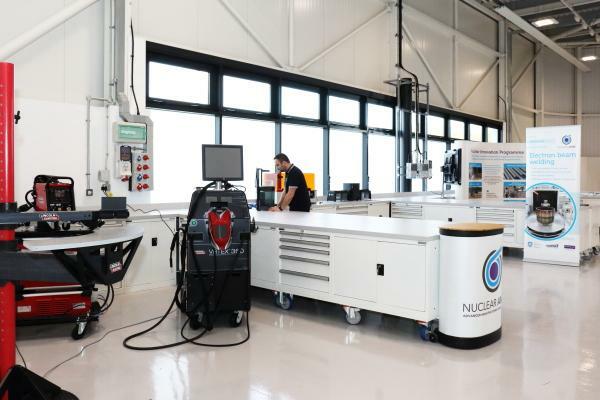 Nuclear AMRC Midlands, a new research and innovation centre to support manufacturers across the region, has opened for business in the iHub at Infinity Park, Derby. Around 150 regional manufacturers and stakeholders attended the launch event at the iHub on Wednesday 13 February, to experience the state of the art in manufacturing R&D in the Nuclear AMRC’s new workshops, and join high-level speakers from industry and government to discuss the challenges facing manufacturers of all sizes. Industry speakers included Dr Hamid Mughal, director of manufacturing at Rolls-Royce; Will Tanner, director of public affairs at Bombardier; and Neil Foreman, chief executive of Centronic, a new member company of the Nuclear AMRC. Speakers from government included Craig Lester, deputy director of nuclear strategy at BEIS, presenting an update on the UK’s nuclear programme; and Councillor Chris Poulter, leader of Derby City Council, discussing regional innovation challenges. Andrew Storer, chief executive officer of the Nuclear AMRC, said: “Our new facility in Derby gives us an incredible opportunity to work with manufacturers of all sizes operating in the most economically important industries across the Midlands. As well as helping companies win work in nuclear, the technologies we are developing can tackle the manufacturing challenges in automotive, rail, aerospace, renewable energy and many other high-value sectors. 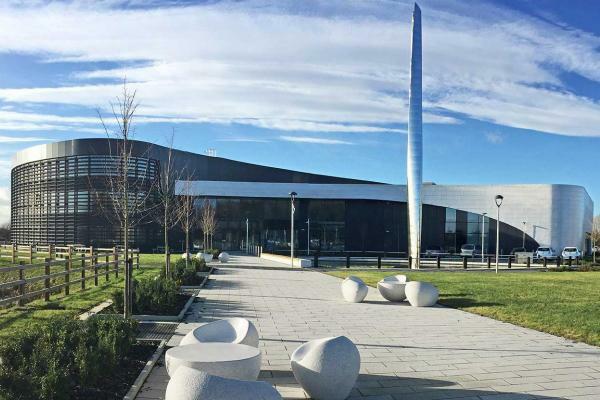 Cllr Chris Poulter, Leader of Derby City Council said: “The opening of Nuclear AMRC Midlands is a great milestone for our city and for the wider region, and we know the benefits to the economy, businesses and residents will be huge over the coming years. Nuclear AMRC Midlands is initially based in two workshops and two office suites within iHub. 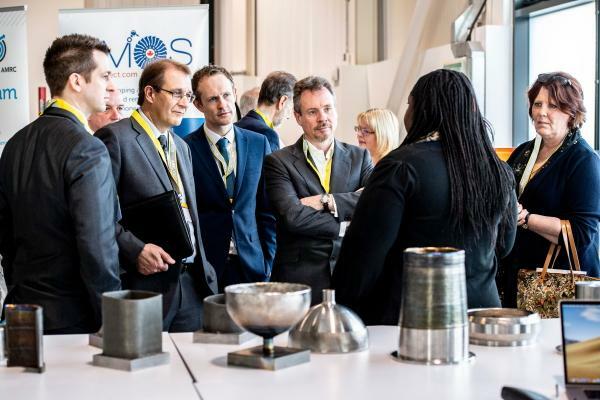 The workshops act as flexible incubators for new manufacturing technologies, operating at an earlier level of manufacturing readiness than the Nuclear AMRC’s facilities in Rotherham and Birkenhead, and exploring new technology areas. The larger workshop is a flexible incubator for new manufacturing technologies, with an emphasis on digitalisation. It is designed to host a series of reconfigurable manufacturing bays where advanced physical and digital equipment can be configured to meet the needs of industry customers. Technologies on show at the launch event included additive manufacturing in a variety of polymers and metals; intelligent welding tools being developed through the Nuclear Innovation Programme; innovative sensors for aircraft, part of a project with member company Atlas Composites; and an interactive virtual model of an SMR module developed in partnership with Rolls-Royce and the AMRC. The second workshop will develop the Nuclear AMRC’s capabilities in new technical areas including controls and instrumentation (C&I) and equipment qualification. 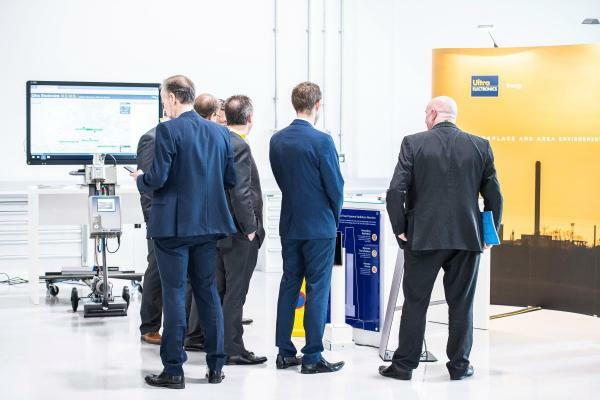 The centre is working closely with member company Ultra Electronics on initial projects, and delegates were able to view a range of Ultra’s innovative technologies including safety-critical radiation and reactor core monitoring systems. The facility will also act as a regional base for the centre’s supply chain development programme, allowing the Nuclear AMRC team to work more closely with companies across the UK’s manufacturing heartlands and help them become Fit For Nuclear. 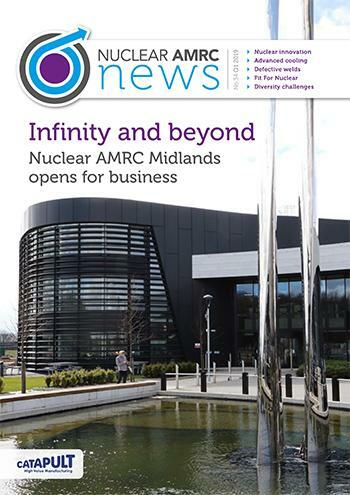 For more information on the launch of Nuclear AMRC Midlands, and other news from the centre, download our Q1 newsletter.